Our environment is very important to me and I would like to actively contribute to the protection. 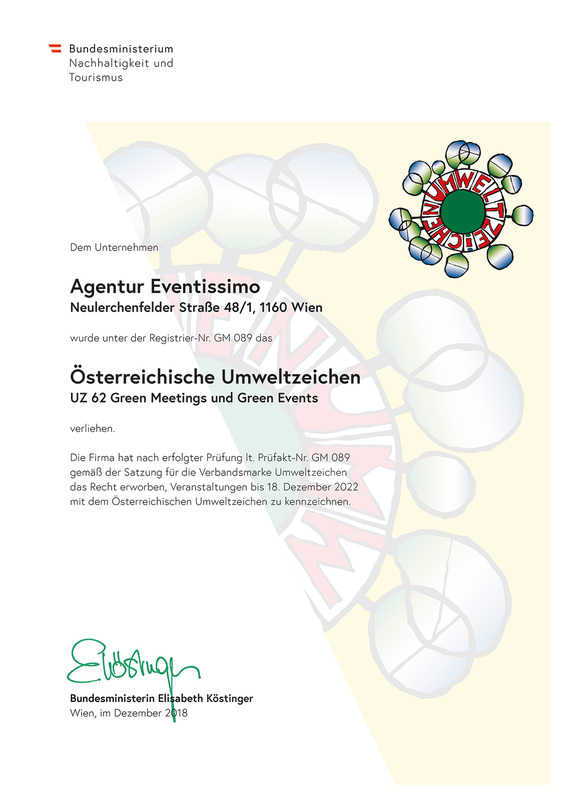 eventissimo is the official licensee for "Green Meetings & Green Events". I am happy to assist you uncomplicated, creative and competent in the implementation of sustainable events. I accompany you in the green licensing according to the relevant guidelines.